Throughout product conceptualization, the in-house Design team at Matki reflect on the performance, functionality and aesthetic of every single, contributing component. Taking the time not only to design the key elements but every minute detail to ensure every component works in harmony for intuitive functionality and a stunning aesthetic. Combined, the Matki design team boast decades of product design experience, fielding knowledge from an array of disciplines, bringing an in-depth awareness of the limitations and benefits of different materials, prototyping techniques and design principles. Matki’s elegant and understated look is enduring. However, staying attuned to global interior design trends and technological advancements is crucial to the design team, ensuring all new collections can fulfil Matki’s commitment to effortless style and functionality. At Matki, dedication to absolute quality guides each product throughout design and development and into manufacture and assembly through stringent quality testing, tried beyond CE product testing demands. Every detail is designed to last and function effortlessly, sourcing the best quality materials available, from mirror polished Stainless Steel, to the solid Safety Glass panelling and high-quality metallic finishes from Polished Nickel to Brushed Gold. Investing in Matki is investing in authentic quality which truly stands the test of time. Matki shower doors, shower enclosures, shower screens and shower trays are covered by a 10-year guarantee against parts failure, with the initial two-year period also having labour cost cover. Gold and Nickel plated parts, Teak decking and Matki Glass Guard are guaranteed for the initial two-year period only. 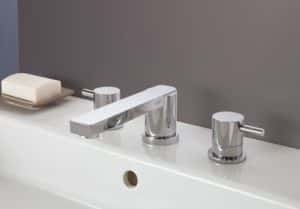 Matki Elixir and Matki Swaddling thermostatic shower mixers and accessories and Matki Fastflow shower wastes are guaranteed for five years. Matki can also supply repair parts for a number of historic product lines with support from passionate and knowledgeable in-house support and technical teams. The 10-Year Matki Guarantee is subject to registration and the issuing of a guarantee number. To register your Matki product for our 10 Year Guarantee. Matki assemble and manufacture all products in line with CE product testing, EN quality standards and run an ISO:9001 2008 quality management system.